It’s nothing less than a complete change of mind: Microsoft publishes OSS (Open Source Software) on Github, delivers PowerShell to Linux, MacOS and Windows, creates platform agnostic tools – simply re-inventing itself. I invited Joey Aiello and Bartek Bielawski to talk about this transformative change in another ENGLISH episode of the “Sliding Windows”. Joey (on the left hand side) is a program manager on Microsoft’s PowerShell team and OSS (Open Source Software) enthusiast. Bartek Bielawski, well known scripting guru, book author and systems engineer for Optiver already covered InterOp topics when it was neither mainstream nor fun. We talk about the demand for technologies such as PowerShell, standards based remoting technologies, a tool chain spanning different OS and the love for OSS in general. Wrapping up, we focus on an OS agnostic IT, driven by APIs and layers of software beyond our traditional perception of computers and operating systems. 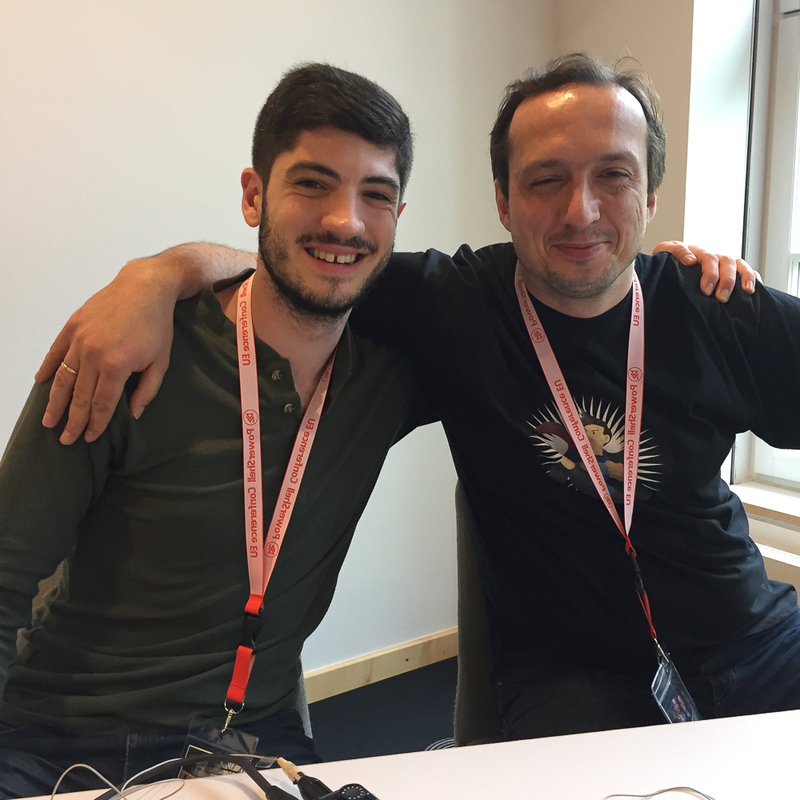 This interview was recorded during the PowerShell Conference EU on May 5, 2017 in Hannover. Posted on 2017-05-15 by Thorsten Butz.